Protectionism is when a country enacts laws or policies that attempt to promote their own industries against those of other countries. Protectionism was a popular economic policy in the years before the Great Depression and was widely practised during the 1930s. In general, countries enact protectionist policies in hopes of protecting jobs and industries in their own country. Politicians often promote protectionism as a means of improving the overall economy and employment for working-class people. To enact protectionism, a country usually places tariffs (a form of taxes) on goods that are imported from a foreign country. For example, if the United States wanted to protect its lumber industry it might place tariffs on lumber from Canada that is being sold in the United States. The hope of the government is to make imported goods more expensive and therefore less appealing to consumers. Thus, consumers would choose American lumber over Canadian lumber because it is less expensive. For example, in the United States, many economists and historians consider the Smoot-Hawley Tariff Act of 1930 as an example of protectionism that led to the Great Depression. The act imposed or increased tariffs on over 20,000 goods imported into the United States from foreign countries. 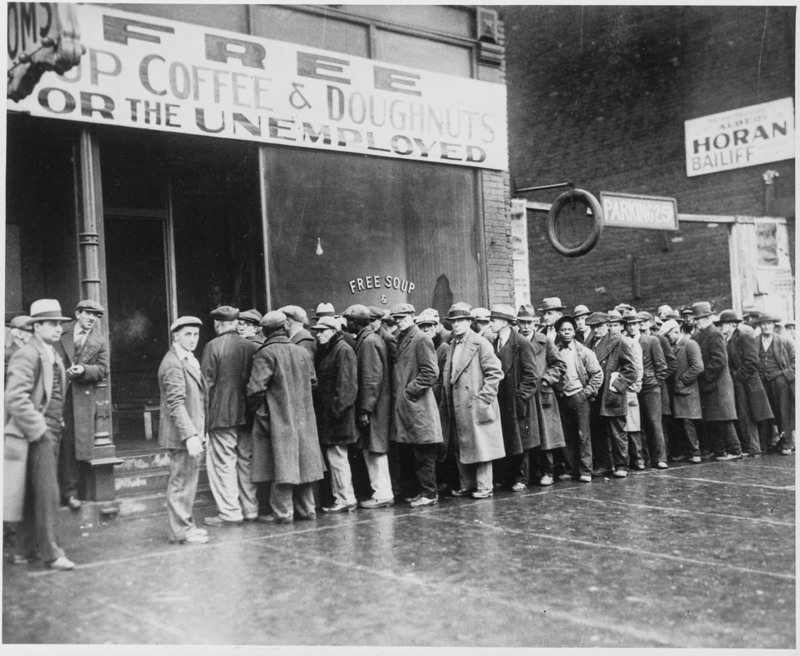 Unemployed men in Chicago during the Great Depression. While supporters of protectionism argue that it protects jobs, others argue that ultimately protectionism leads to less overall trade between countries and has a negative effect on the economy. For example, when one country enacts protectionist policies, other countries often impose their own tariffs in retaliation. Some economists have argued that these policies cause trade between countries to slow to extremely low levels which cause a downward spiral in the economy and leads to a recession. Companies, which had earlier sold their goods around the world, are then forced to sell primarily to their own country, which lessens their ability to reach a large market and generate profits. In general, protectionism is viewed as opposite to economic free trade. Free trade is the idea that countries should not place tariffs on each other’s goods in order to promote trade between countries. Some economists argue that free trade allows countries to specialize in industries that they are particularly well suited for while allowing other nations to carry out others. For example, China has a large population and low wages, which generally makes it an ideal location for manufacturing. Some economists state that this practise will, in the end, create more trade and economic activity between countries and therefore lead to more employment and overall prosperity. In general, free trade policies have generally been favored over protectionists ones by modern democratic nations such as the United States, Canada, England, France and Germany. However, in 2016, Donald Trump was elected as the President of the United States while promoting many different protectionist policies aimed at creating jobs in the country. 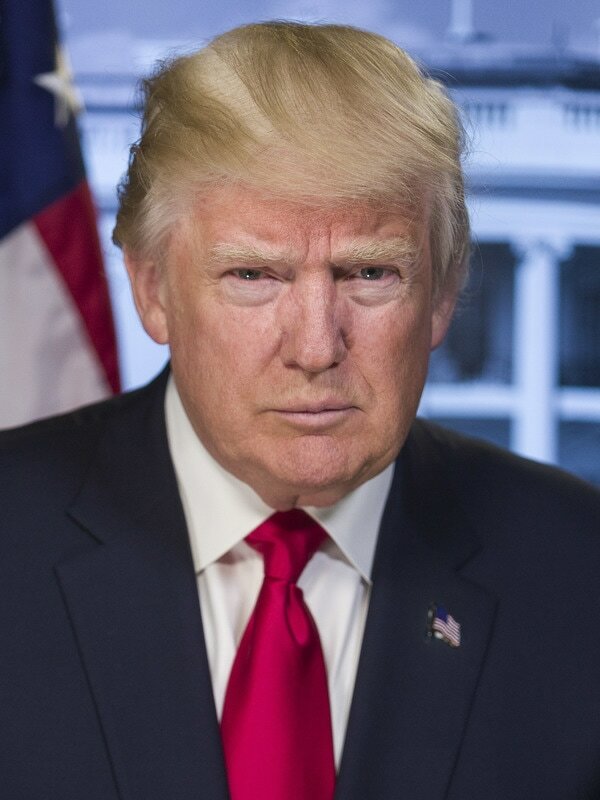 For example, at his January 20th, 2017 inauguration, President Trump announced that he would be consider two principles in his decision-making, which were: ‘Buy American and Hire American’. Since then he has put pressure on several large American companies in order to discourage them from moving their manufacturing to other countries such as China and Mexico.